The Kenya Commercial Bank (KCB) has officially launched its Islamic Banking unit in a move aimed at tapping into the growing demand for financial products across the Islam religion across East Africa. The new banking product will first be launched in four regions across Kenya, with further plans underway to cover more regions. KCB will roll out the banking service dubbed ‘Sahl Banking’ in six of its branches including, Eastleigh, Kimathi Street and Hurlingham in Nairobi County, Mwembe Tayari and Town Centre in Mombasa County, Lamu as well as in Garissa and Wajir for the North Eastern region. Sahl Banking is an easy banking service that is personalized for customers of the Islam community through a partnership with Shariah Compliance Finance that prohibits the giving or receiving of interest and ensures that money is invested in an ethical manner that is in accordance with the Islamic faith. “The offering we are launching today is a Shariah compliant bank account designed to address the sensitivities of this group of customers,” said Joshua Oigara, KCB Group CEO, adding that the Bank is ready to revolutionize the Islamic Banking space across the country. With the Islamic banking assets expected to grow by 19.7% between 2013 and 2018 to reach about US$1.6 Trillion globally, the Kenya government believes the introduction of the service by KCB and other banks in the country will contribute to the growth and development of the economy. Shariah compliant banking demands that all services offered to customers at the banking units are presented in a way that is ethical and sensitive to the Muslim faith and is liaising with the Kenyan government to introduce more Sharia services across the nation. KCB Sahl Banking service was scheduled for launch sometime last year but faced delays in getting the required approvals to launch in Kenya as it did in Tanzania. 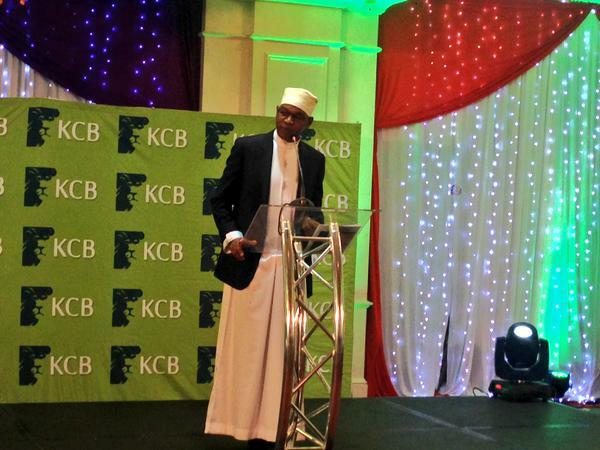 KCB plans to further roll out the service in neighbouring Uganda, Rwanda and Burundi.